sPARKit - A pop up park trailer full of amenities to activate public spaces! Photo courtesy the artist. sPARKit. Photo courtesy the artist. sPARKit is a mobile trailer/pop-up park with all of the amenities needed to turn a green, common space into an activated destination spot. 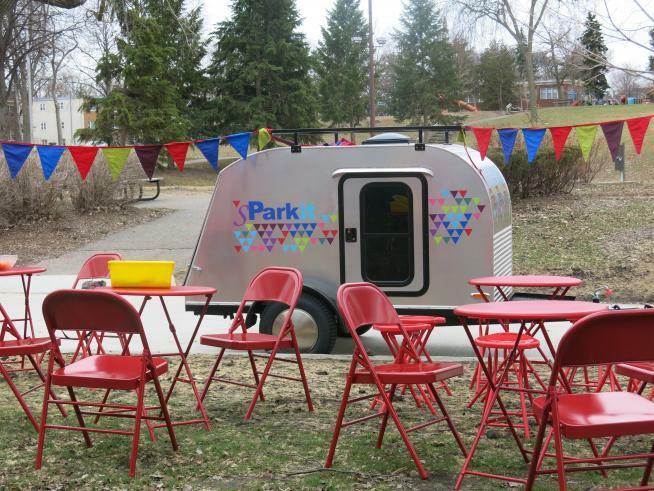 The sPARKit mobile trailer has been being created as part of the Springboard for the Arts/Irrigate Project and the Trust for Public Land’s work on the Green Line Parks and Commons Initiative. The initiative is focused on imagining and creating new and innovative ways of creating and utilizing public plazas and common spaces along University Avenue. During Northern Spark it will serve as an Info Hub and as a conversation piece about what it means to be part of a temporary 12-hour commons.